The land bordering on the sea; the country adjacent to the sea, or near it. 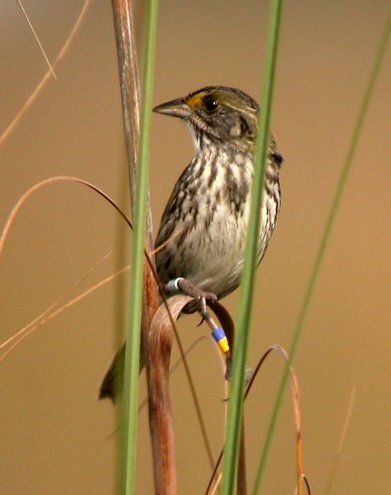 Seaside Sparrow (Ammodramus maritima) is a small American sparrow. 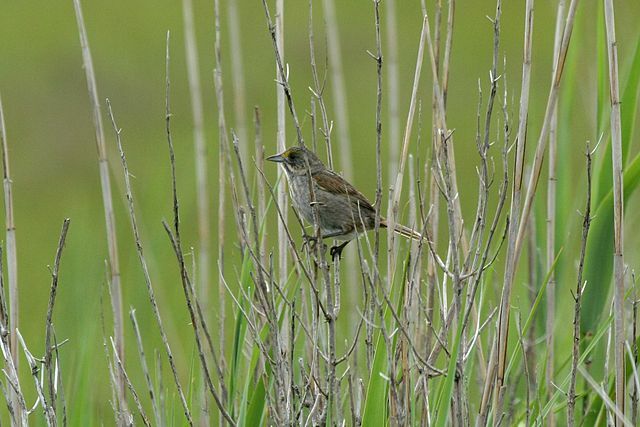 Adults have brownish upperparts with gray on the crown and nape, and a grayish-buff-colored breast with dark streaks; they have a dark face with gray cheeks, a white throat, and a short, pointed tail. Birds show a small yellow streak just above the eye. Their breeding habitat is salt marshes on the Atlantic and Gulf coasts of the United States from southern New Hampshire to southern Texas. The nest is an open cup usually built in the salt marsh on tidal reeds and spartina grasses. Females lay two to five eggs. Northern birds most often migrate further south along the eastern coast of the United States. They forage on the ground or in marsh vegetation, sometimes probing in mud. They mainly eat insects, marine invertebrates and seeds. Their feeding areas are often some distance away from the areas they choose to nest. 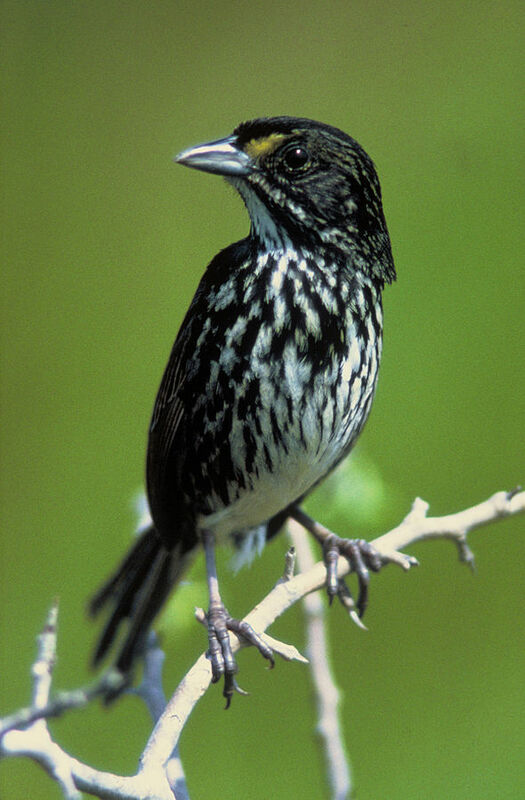 The song is a raspy buzz that closely resembles a distant red-winged blackbird. This entry was posted in Avian and Attributes, Birds, Birdwatching, Christian, Daily Devotionals and tagged Bible, Christianity, Creation, Home School, Lord Jesus Christ, Nature, Photography, Seaside Sparrow, Teaching. Bookmark the permalink. Fascinating. We moved to the shore several years ago and I’m still learning about the different birds here. Now I know about this sparrow – thank you! Apparently that second Seaside Sparrow is a convicted criminal, on parole — did you notice his multi-colored ankle bracelet? What I found interesting was that the first two pictures show totally different birds, but they are in the exact same pose. You’re right. I don’t think I noticed that closely.